Vlieghe said monetary policy should "be kept on hold or even eased" in a no-deal scenario. "In the case of a no-deal scenario I judge that an easing or an extended pause in monetary policy is more likely to be the appropriate policy response than a tightening." 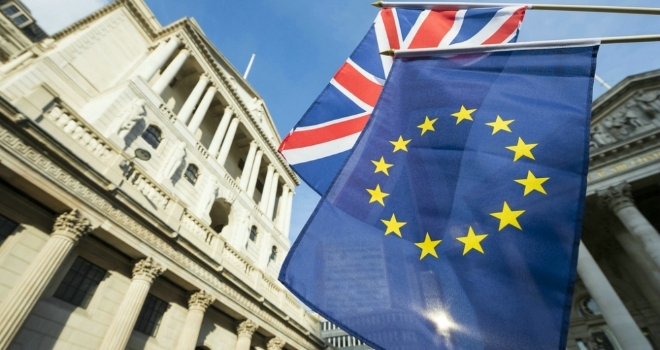 Monetary Policy Committee member, Gertjan Vlieghe, predicts that the Committee would choose to ease monetary policy in the event of a no-deal Brexit. In a speech made today, Vlieghe said his opinion about the future path of Bank Rate has changed from last year, when he thought one to two quarter point hikes per year in Bank Rate "was the most likely central case". Since then, he said the economic outlook had changed; global growth has slowed more than expected, and sooner than expected, and domestic growth has also slowed more than expected. Vlieghe says he can now "wait to see evidence of growth stabilising and inflation pressure rising" before considering the next hike in Bank Rate. Additionally, he said “in the case of a no-deal scenario I judge that an easing or an extended pause in monetary policy is more likely to be the appropriate policy response than a tightening”. Vlieghe predicts that in a no-deal scenario, the exchange rate is likely to fall further, creating a temporary boost to inflation as it did after the 2016 depreciation. He added that households and businesses would expect the negative effect on the economy to be quite persistent, so would lower their consumption and investment demand. Vlieghe concluded that such a scenario would "imply that monetary policy should be kept on hold or even eased as long as inflation expectations remain well anchored".